Ordinary good humoured fella living alone. .Semi retired. I have horses dogs cats and poultry. Like going horse racing. I like weekends away around Ireland's coast.. Not a big drinker. Non smoker. Like cooking. Fairly active.. Like swimming walking cycling. Gaa. Dinner followed by few drinks. Plenty relaxed chat. wayconexpress51 is a Male dating in Galway, Ireland. 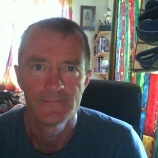 Check the description of this 54 years old profile, he is White/Caucasian and Non Religious maybe this matches your profile description and you can both start dating in Ireland for free. The stars says he is a Pisces maybe you should check your horoscope and match up your star sign.